Boogie Woogie Santa Claus (Dave Koz) for Solo, SAT, horn section and full rhythm and more. 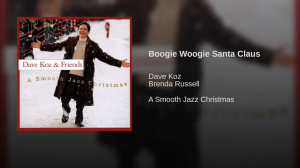 Boogie Woogie Santa Claus as recorded by Dave Koz arranged for Vocal solo, SAT back vocals, piano, bass, drums, guitar, trumpet 1, trumpet 2, tenor sax, trombone, baritone sax plus optional flute/piccolo and percussion (Marimba/Xylophone/tambourine). - This is PRINT MUSIC for a vocal feature with a Five piece horn section and full rhythm. A full score is also included. Fun high energetic show tune. NOTE original key is B. This chart is in the key of C.
Look for a full 5444 big band version of this title here on this web site. 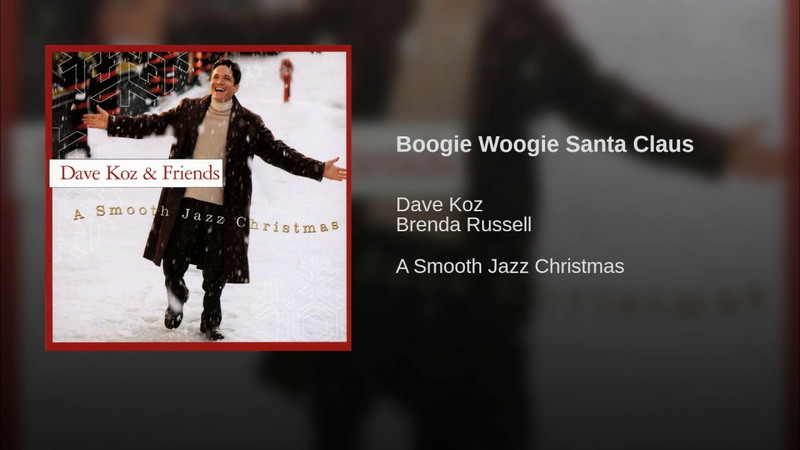 Boogie Woogie Santa Claus as recorded by Dave Koz arranged for Vocal solo, SAT back vocals, piano, bass, drums, guitar, trumpet 1, trumpet 2, tenor sax, trombone, baritone sax plus optional flute/piccolo and percussion (Marimba/Xylophone/tambourine).